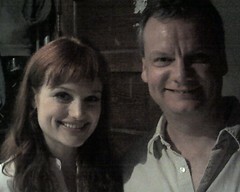 Wow, Alison Sudol is a pretty babe. You are so lucky to shake her hands and take a photo with her. Guess you did not wash your hands for a few days!!! LOL. ALmost Lover is not a very new song but here in Switzerland, where I come from it’s new in the charts. I checked the differents performances in utube and cannot stop hearing the one she gave in “rehearsals” which is almost one year ago now. It doesn’t happen often that i start crying. But I do every time I hear this one. I wish i could send her an e-mail only once to find out what she was thinking of at that performance. But neither i know her nor any way to contact her. So if you wanna do a big favour for someone who probably wanted to find out similar things about this (most probably very special person) I really would owe you one! Thanks for your understanding and hopeful help. http://GarySaid.com/alison-sudol-from-aff-and-i-pose-for-a-photo/ generated Friday, April 26th 2019 at 6:45:58 am EDT (in 83 queries in 0.619 seconds).